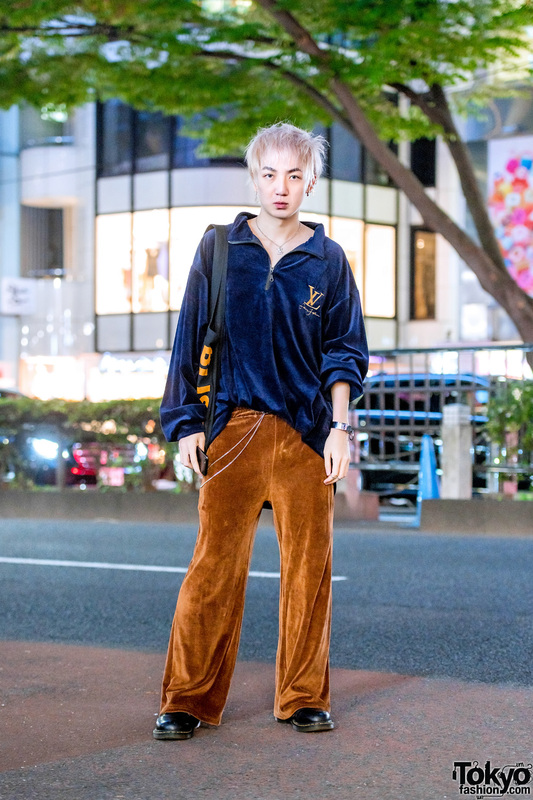 Blonde-haired Harajuku guy sporting a velvet streetwear style while out and about on the street. 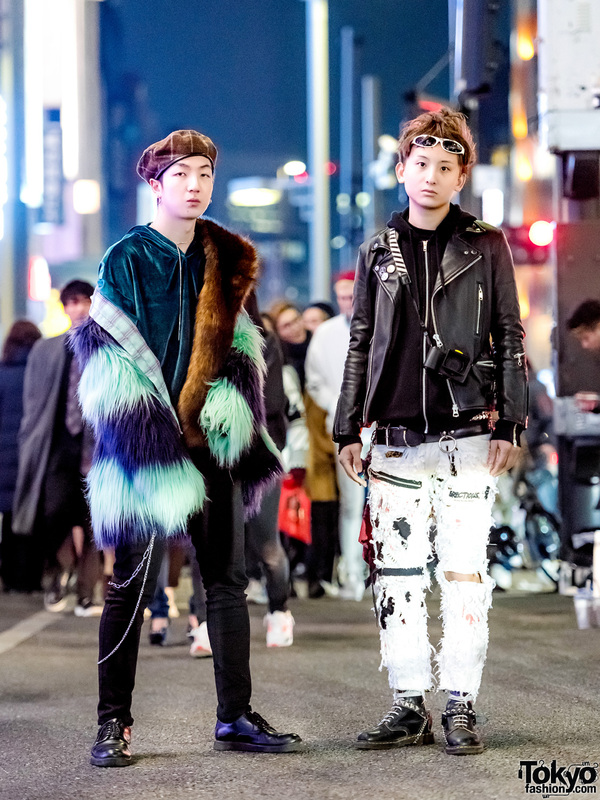 Harajuku girls showcasing sheer outerwear street styles while out on the street one afternoon. 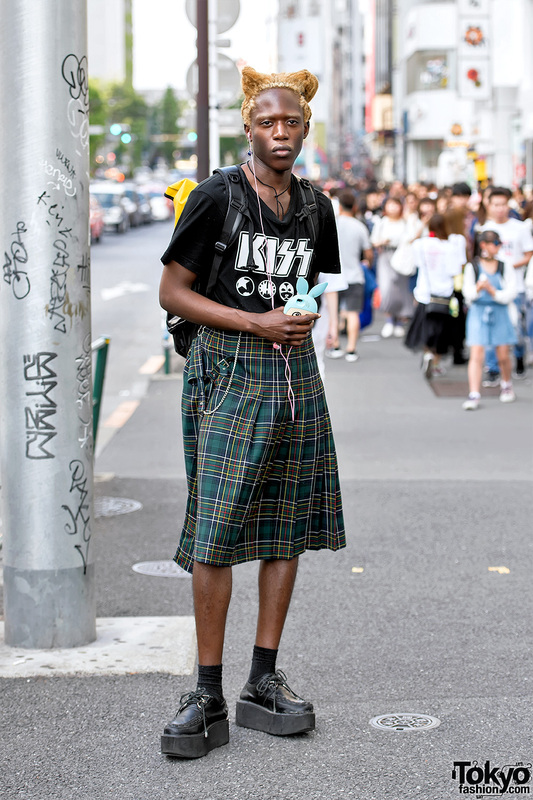 Harajuku guys in fur and punk street styles while out on the street. 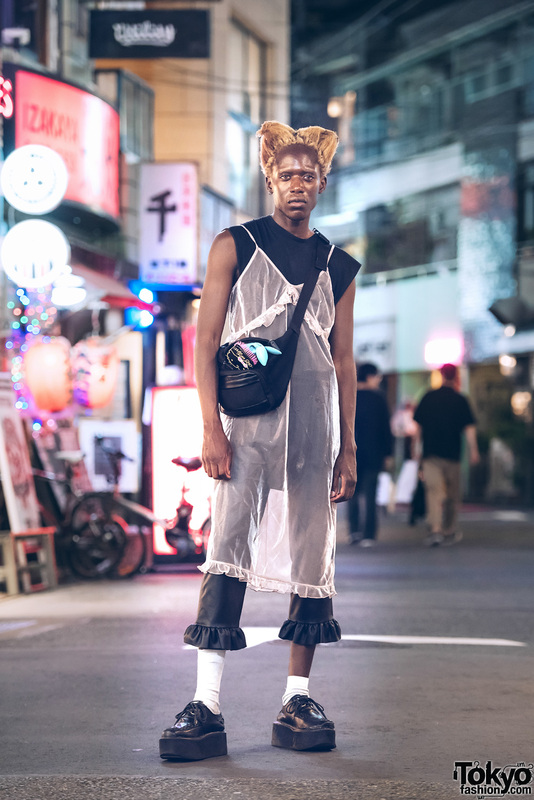 Harajuku jpop singer songwriter wearing a long sleeve printed dress, platform boots, knit tassel bag, furry hat, sunglasses and vintage jewelry. 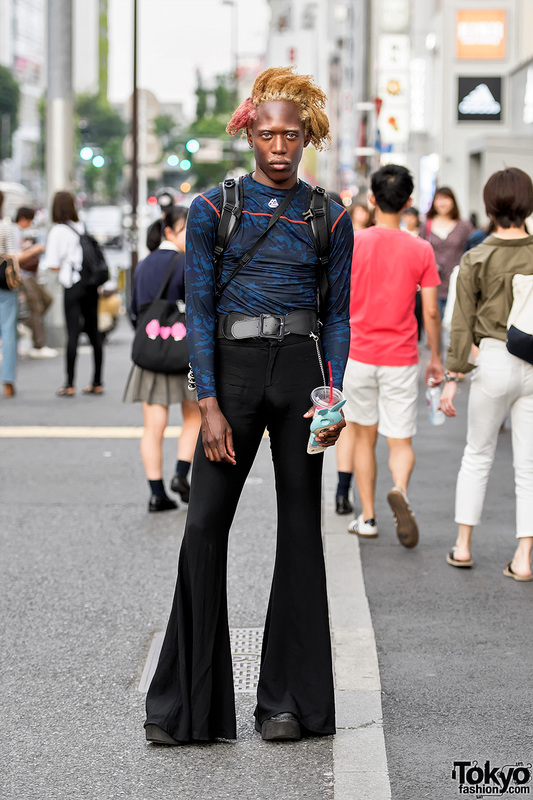 Zelig on the street in Harajuku wearing lingerie as outerwear, skinny cropped flared pants, platform creepers, and a crossbody bag with Hello Kitty hair brush. 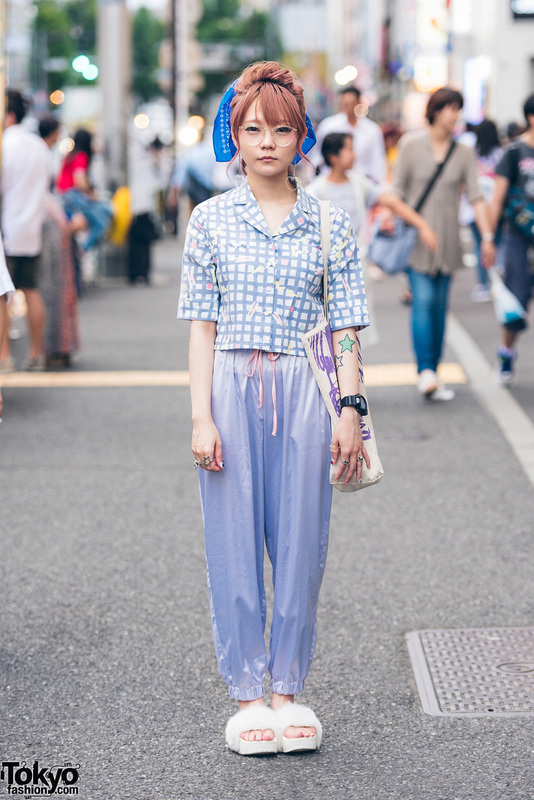 Harajuku girl in Merry Jenny outfit with fuzzy slides, canvas tote bag, glasses, heart earrings, black watch and multiple rings.